With the Growth of Mobile Coupons Are Paper Coupons a Thing of the Past? Mobile coupons are becoming the norm as we begin to see a decline in the number of available printable coupons. As the millennial generation begins to dip their toes into the world of coupons this trend will likely continue. 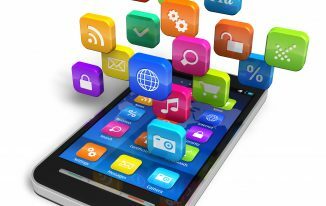 Over the past 5 years changes in mobile (smartphone) technology have made coupons more readily available and retailers have been quick to pounce on this opportunity to create their own proprietary coupon software (mobile apps). Recent studies only confirm what we are seeing. In 2016 it was estimated that there were 100 million mobile coupon users. Also, it was reported that 40% off all smartphone users will at some point use their device to redeem a coupon. Smartphones are becoming easier and easier to get as prices come down and older technology is replaced. This means more and more users are coming ‘online’ every day. It is very easy to see why this is happening. 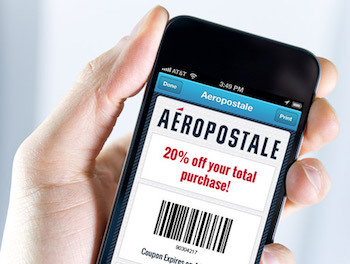 Mobile coupons have become a win-win for retailers and consumer alike. Consumers are drawn to mobile coupons as they are easy to use and allow for nearly instant savings. Mobile coupons can be accessed and added while shopping and do not require nearly as much preplanning when compared to traditional paper coupons. 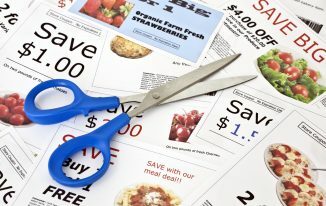 More and more mainstream retailers, such as Target and Shaws, have developed their own coupon programs which are super easy to use and allow consumers to ability to create savings while they shop. Not only are they easier to use but they are also cheaper. Mobile coupons are free to utilize and do not require access to a computer, printer, paper and ink. How many coupons have you printed in the past only to throw them away later when they expired? Retailers have come to love mobile coupons just as much as consumers. Mobile coupons are much easier to manage and even help prevent coupon fraud (you can’t photocopy them – print limits can be easily set). ‘Flash’ offers can be used to keep customers on their toes and bounce-back offers bring them back through the doors. 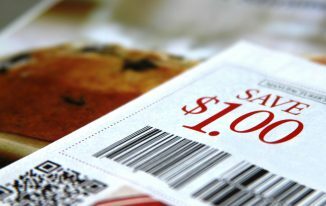 Traditional paper coupons can generally be used at any retailer while mobile coupons can be restricted to a specific retailer and thus create brand/store loyalty. Studies show that 82% of consumers report they will switch stores from week-to-week in order to get the best deals so it only make sense that retailers are looking for ways to entice them back and mobile coupons appear to be an effective way to do this. If you are an ‘old school’ couponer who prefers to print them out each week then all is not lost. Statistics show that paper coupons are still more popular than their mobile counterparts allow the gap is shrinking each year. Even online printable coupon giant coupon.com is now offering a mobile app and we have noticed the number of available online printable coupons at coupons.com have shrunk considerably. While we don’t see paper coupons completely going away any time soon we do try to advocate that our readers begin looking into mobile coupons (if they do not already) as sooner or later paper coupons may become a thing of the past.